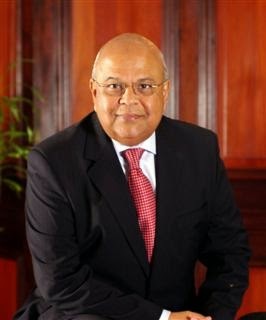 Last month Minister of Finance Mr Pravin Gordhan announced that he had appointed retired Gauteng Judge President Bernard Ngoepe as the Tax Ombud in accordance with section 259 of the Tax Administration Act, No 28 of 2011 (‘the TAA’). The Minister indicated that the Tax Ombud’s office is intended to provide taxpayers with a low-cost mechanism to address administrative difficulties that cannot be resolved by the South African Revenue Service (‘SARS’). In terms of section 14 of the TAA, the person appointed as Tax Ombud is required to have a good background in customer service, as well as tax law, and the Minister confirmed that Judge Ngoepe has sound experience in exercising impartiality as well as the necessary knowledge in how best to balance the powers and duties of SARS and the rights and obligations of taxpayers. Clearly, it will take time for the Tax Ombud’s office to become fully functional in that it will be necessary to appoint staff to that office and create the necessary infrastructure so that the Tax Ombud’s office can perform the functions provided for in the TAA. It must be noted that the Tax Ombud is accountable to the Minister of Finance and not to the Commissioner: SARS. In terms of section 15 of the TAA, the staff of the office of the Tax Ombud must be employed in terms of the South African Revenue Service Act, No 34 of 1997, and be seconded to the office of the Tax Ombud at the request of the Tax Ombud in consultation with the Commissioner. The Tax Ombud’s office has not been created to deal with legal disputes between the taxpayer and the Commissioner, as well-defined processes already exist to deal with objections and appeals. The Tax Ombud is charged with reviewing and addressing any complaints made by a taxpayer regarding a service matter or a procedural or administrative matter arising from the application of the provisions of any tax Act administered by SARS in terms of section 16 of the TAA. The Tax Ombud is not empowered to review legislation or tax policy, SARS’ policy or practice generally prevailing, other than to the extent which it relates to a service matter or procedural or administrative matter arising from the application of the provisions of a tax Act by SARS or a matter which is subject to objection and appeal under a tax Act, except for an administrative matter relating to such objection and appeal or a decision of or proceeding in or matter before the Tax Court. The Tax Ombud’s office in South Africa has been modelled on the Tax Ombudsman in Canada and the Taxpayer Adjudicator in the United Kingdom. Thus, the mandate of the Tax Ombud’s office in South Africa is very similar to that conferred on the Tax Ombudsman in Canada and the Taxpayer Adjudicator in the United Kingdom. · Identify and review systemic and emerging issues related to service matters or the application of the provisions of the TAA or procedural or administrative provisions of a tax Act that impact negatively on taxpayers. Before a taxpayer proceeds to the Tax Ombud it is necessary that they exhaust the complaint resolution mechanisms within SARS. This requirement is found in most countries where a Tax Ombud or similar office exists. During 2002, the SARS Service Monitoring Office (‘SMO’) was launched with a view to assisting taxpayers facing administrative difficulties with SARS. The SARS website indicates that, prior to a complaint being lodged with the SARS SMO, the taxpayer is required to give the SARS branch office or contact centre that is responsible for their affairs an opportunity to deal with an issue before raising it with the SSMO. Thus, the taxpayer is required to log a complaint with the SARS contact centre, and, if that does not resolve the matter within a reasonable time, to then request that the SSMO investigate the matter. Now that the Tax Ombud is soon to be operational, it would appear that taxpayers will need to exhaust internal processes at SARS first, which includes the procedures set out above, before they proceed to the Tax Ombud. SARS did indicate that they would clarify the complaint resolutions mechanisms which taxpayers are required to follow before proceeding with their complaints to the Tax Ombud. To date, this does not appear to have taken place. In terms of the TAA, the Tax Ombud may review any issue falling within his or her mandate on receipt of a request from a taxpayer. It must be noted that the Tax Ombud may not investigate a matter that arose more than one year before the day on which the Tax Ombud is appointed, unless the Minister requests the Tax Ombud to do so. Section 18 of the TAA provides that the Tax Ombud may determine how a review of the taxpayer’s complaint is to be conducted and determine whether a review should be terminated before completion. In reviewing the taxpayer’s complaint, the Tax Ombud must consider such factors as the age of the taxpayer’s request or issue, as well as the amount of time that has lapsed since the taxpayer became aware of the problem and the nature and seriousness of the issue, and, importantly, whether their request was made in good faith, as well as consider the findings of other redress mechanisms with respect to the taxpayer’s request. Where there are compelling circumstances that the Tax Ombud may consider the taxpayer’s request for assistance, particularly where the taxpayer‘s request raises systemic issues, or by exhausting the other complaint resolution mechanisms within SARS will cause undue hardship to the taxpayer, or exhausting the complaint resolution mechanisms is unlikely to produce a result within a period of time that the Tax Ombud considers reasonable. In terms of section 19 of the TAA, the Tax Ombud is required to report directly to the Minister and submit an annual report to the Minister of Finance within 5 months of SARS’ financial year and submit a report to the Commissioner quarterly or at other intervals as may be agreed by the Commissioner and the Tax Ombud. Importantly, the annual report prepared by the Tax Ombud must be tabled in the National Assembly and, thus, the office of the Tax Ombud is subject to parliamentary oversight. The Tax Ombud is required to resolve all issues falling within their mandate at the level at which they can be most efficiently and effectively resolved, and must, in achieving this objective, communicate with SARS’ officials identified by SARS. It must be noted that the Tax Ombud’s recommendations are not binding on taxpayers or SARS. This provision, set out in section 20 of the TAA, has been criticised by some commentators on the basis that the Tax Ombud lacks teeth and that the recommendations of the Tax Ombud will not necessarily be followed by SARS. However, internationally, the office of the Tax Ombud does not have the power to compel the revenue authority to adhere to the recommendations made by the Tax Ombud. This is particularly true in the case of the Tax Ombudsman in Canada, the Taxpayer Adjudicator in the United Kingdom and the Taxpayers’ Advocate in the United States of America. The Tax Ombud does not operate as a court of law and therefore does not have the power to issue binding decisions or deliver judgment on a matter, as is the case with the Tax Court or other courts in South Africa. The Tax Ombud is required to review complaints received from taxpayers and to facilitate the resolution thereof by engagement with the taxpayer and SARS. It is interesting to note that, during June this year, Canada’s Tax Ombudsman and Minister of National Revenue jointly announced the addition of a new right to the Canadian Taxpayers’ Bill of Rights to protect taxpayers wishing to complain about the Canada Revenue Agency without fear of reprisal. This right was inserted as a result of Canadian taxpayers being afraid to invoke their rights as taxpayers and lodge complaints with the Tax Ombudsman. This right should go some way in addressing this concern. When complaints are lodged against the Canada Revenue Agency, that Agency may, depending on the outcome of a complaint, give further reasons for decisions, correct a misunderstanding, omission or oversight, offer an apology to a taxpayer or make changes to a policy or procedure or make changes to systems or applications, review its service standards or consider further staff training to prevent recurrence of problems in the future. Insofar as the Taxpayers’ Adjudicator is concerned, that office can request Her Majesty’s Revenue and Customs to apologise to a taxpayer and also to meet additional costs which a taxpayer has incurred as a direct result of HMRC’s mistakes or delays, to reimburse taxpayers for costs such as postage, telephone calls or the costs of professional advice. Alternatively, the Taxpayers’ Adjudicator may require the HMRC to make a small payment to a taxpayer to recognise any worry and distress suffered by that taxpayer. It is unfortunate that the Tax Ombud in South Africa does not currently have the statutory power to direct that SARS should reimburse a taxpayer for costs caused as a result of SARS’ inefficiencies. In addition, the Taxpayers’ Adjudicator’s website indicates that the HMRC has accepted all of the recommendations made by the Adjudicator, even though the Taxpayers’ Adjudicator’s office has no legal basis on which to require HMRC to adhere to its recommendations. It is hoped that the creation of the office of Tax Ombud will go some way in alleviating the frustrations currently experienced by taxpayers in their dealings with SARS and that this office will be fully functional shortly.